ffmyheels: Bay of Fundy at High Tide. 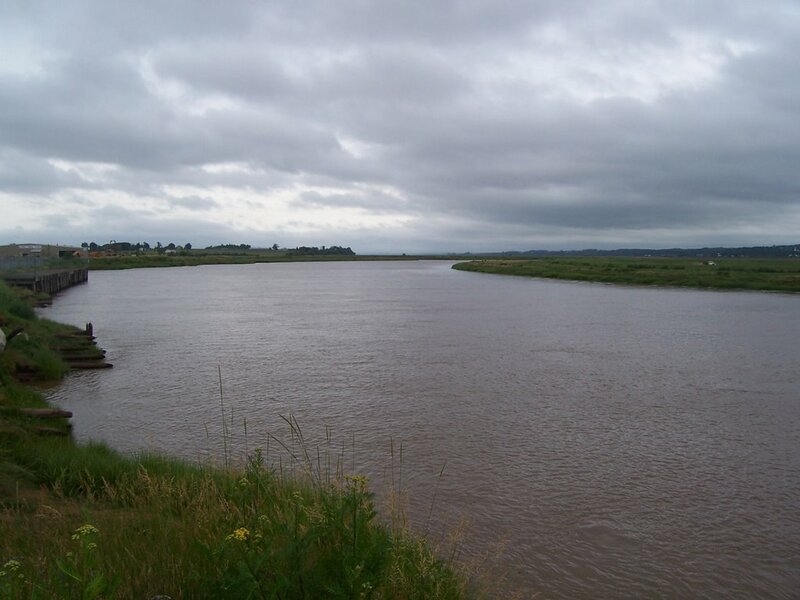 We lived near the Bay of Fundy, which is famous for having the highest tides in the world. Here is the Cornwallis River at High Tide. This river is about 5 minutes from my parents house. It deposits into the Bay of Fundy. Last year, there was a pod of dolphins who had mixed up radar and actually swam up this river. Some were rescued and some died in the mud.